It is actually a limbless lizard Anguis fragilis. Adults could reach about 50 cm long and are known for their exceptionally long life. About thirty years in the wild and up to fifty-four years in captivity. Spot on Nikola! ...we have a number of sheets of corrugated iron dotted around the nature reserve especially to encourage them to use as shelters - these were under one of those sheets, which we lifted for a short time. 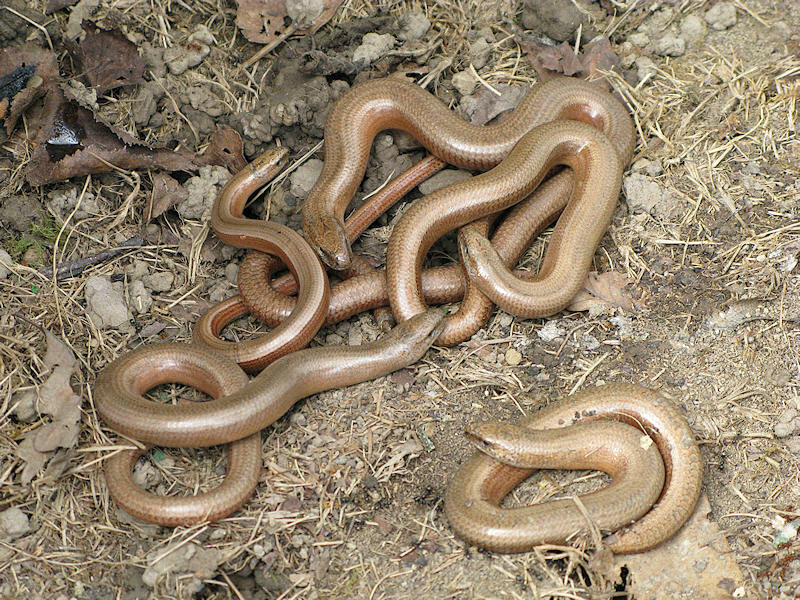 Well observed Ken - you were dead right: legless lizards!